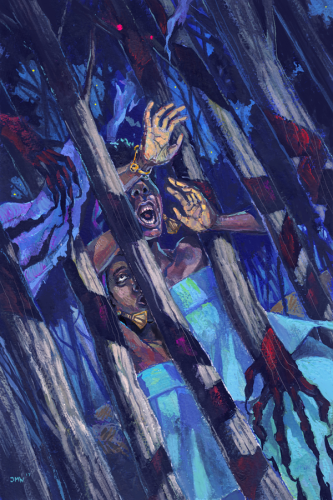 Daniel Abraham has been nominated for the Hugo, Nebula and World Fantasy Awards, and was awarded the International Horror Guild Award. He writes epic fantasy under his own name and writes urban fantasy under the name M.L.N. Hanover. He also writes with Ty Franck as James S.A. Corey (reviewed on our Corey page). Read excerpts of some of his books at Daniel Abraham’s website. Find Daniel Abraham’s books here and M.L.N. Hanover’s books here. FORMAT/INFO: Leviathan Wakes is 592 pages long divided over a Prologue, 55 chapters and an Epilogue. Extras include an interview with the author and an extract from Caliban’s War, the second book in The Expanse series. Narration is in the third person, alternating between Executive Officer James Holden and Detective Miller, except for the Prologue (Julie) and Epilogue (Fred). 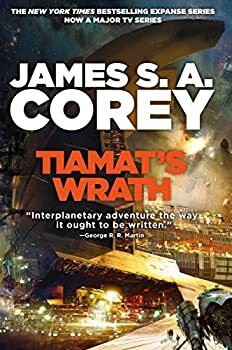 Leviathan Wakes is mostly self-contained, coming to a satisfying stopping point, but the book is the opening volume in The Expanse series and will have at least two sequels: Caliban’s War and Dandelion Sky. 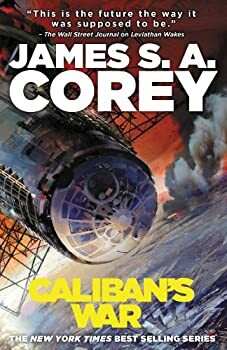 Caliban’s War is the second book in the EXPANSE series, co-authored by Daniel Abraham and Ty Franck under the shared pen name of James S. Corey. 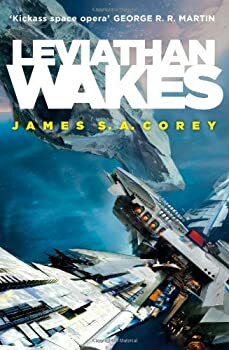 Leviathan Wakes, the first book in the series, was a great read and while Caliban’s War didn’t impress me quite as much, it was still thoroughly enjoyable throughout. So much so that I read it straight through in a single sitting. Because you’ll really want to read Leviathan Wakes first, this review will be predicated on that assumption. Thus there will be spoilers for that first novel; you’ve been warned. Abaddon’s Gate: A great ride! 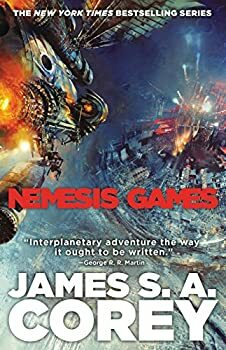 After reading the first two books in James S. A. Corey’s EXPANSE series, Leviathan Wakes and Caliban’s War, I came to book three, Abaddon’s Gate, with some pretty solid expectations. 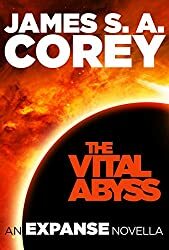 How did Corey (really Daniel Abraham and Ty Franck) do, based on strengths I highlighted in reviews of the first two books? 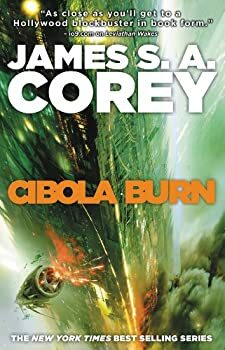 How did Corey do, based on strengths I highlighted in reviews of the first two books? Reposted to include Marion's new review. Naomi swirled the milky liquid in her glass, watching it slosh against the sides, a miniature sea, complete with little icebergs. “We need to talk,” she said. “So, what’s on your mind?” He leaned back against the bulkhead. Space-grade permasteel she thought, but between man and metal, she knew which she’d count on more. 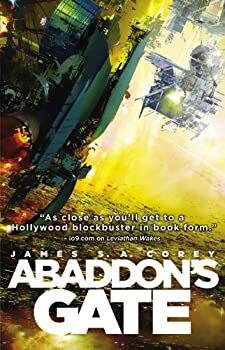 Here’s the short version of the review of James S. A. Corey’s Babylon’s Ashes (2016), book six in THE EXPANSE series: I’ve long considered THE EXPANSE my favorite science fiction series I’ve read as an adult, and Babylon’s Ashes does nothing to change that opinion. If you’ve read the other books (and if you haven’t, why are you reading this? ), jump in with all confidence. The long version follows with major spoilers for prior novels. 1. It comes after the seven others you’ve already read. Let’s not overthink it. 2. Space battles! Magnestar battleships, plasma torpedoes, rail guns, body armor, antimatter weapons, overwhelming odds, strategery, space sieges, tricky orbital mechanics, ambushes and armadas, Bobbie doing crazy marine stuff, Alex doing crazy pilot stuff, things going boom (though silently ‘cause you know, space)! 3. Moving reunions of people who have been separated far too long, from each other and us readers. Yep, I choked up. The Expanse: Can’t wait for Season Two and I want to read the books. That’s a win. A couple of weeks ago I watched Syfy’s space-opera adaptation The Expanse all the way through, ten and a half hours. The series left me eager for January 2017, and Season Two; it also inspired me to go buy the first two books. I call that a success. My comments here are about the television show, not the books. 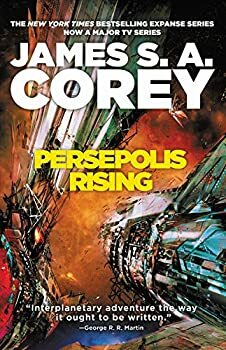 Daniel Abrahamson & Ty Franck, who wrote THE EXPANSE novels under the name James S.A. Corey, have writing credits on all ten episodes, so clearly they are influencing the project.